*For older students* Do you feel AASU improved from the past year and how so? 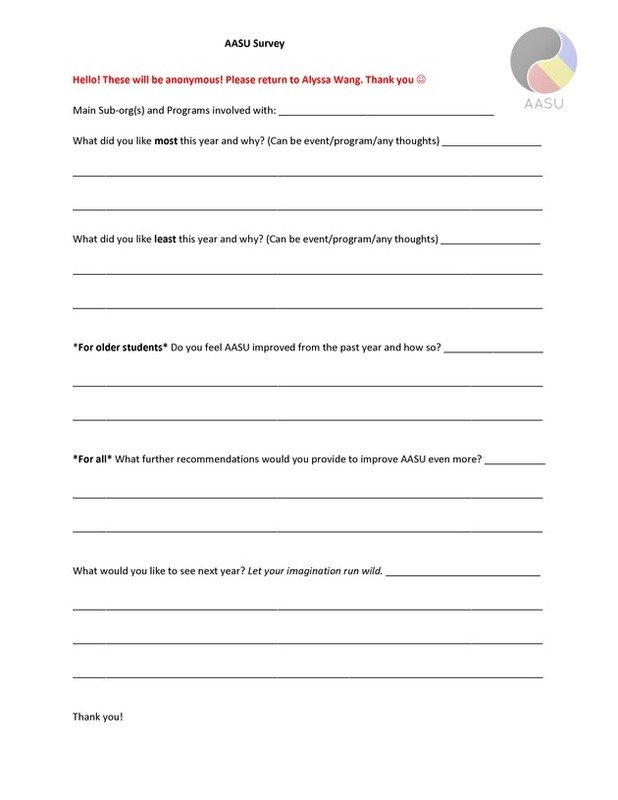 *For all* What further recommendations would you provide to improve AASU even more? What would you like to see next year? Let your imagination run wild.